Alter The Press! 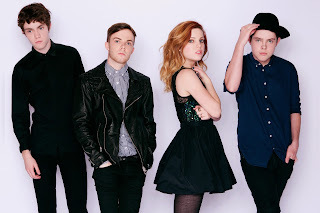 : Echosmith Cover Paramore's "Hard Times"
Echosmith Cover Paramore's "Hard Times"
Echosmith have been locked away inside the recording studio this past year working on their sophomore album, but have re-emerged with a short cover of Paramore's recently released single, "Hard Times." You can watch the band's rendition of the track below.